Jim Shirley grew up in the “cotton and bean country” of Helena, Arkansas where there was, in his words, a “pretty good public education system” and where he was surrounded by a lot of “concerned teachers.” Little did he know then, the adventures ahead. Inconsequential you might say, until you realize that Jim is today the top executive of the highly regarded Arts and Cultural Alliance of Sarasota County. How does something so ironic come to be? Look back to his career path to see it all began with a stint in pharmaceutical and diagnostic imaging sales where he rose quickly through the ranks. Add to this his entrepreneurial spirit which prompted him to start what became a successful executive search firm specializing in the medical industry. Jim had no real time to fulfill a childhood ambition when he and his wife of 45 years, Barbara, started their marriage and were working “shoulder-to shoulder” while moving from Springfield to Chicago to Tulsa and to Atlanta as their careers progressed. That, to him, is success. 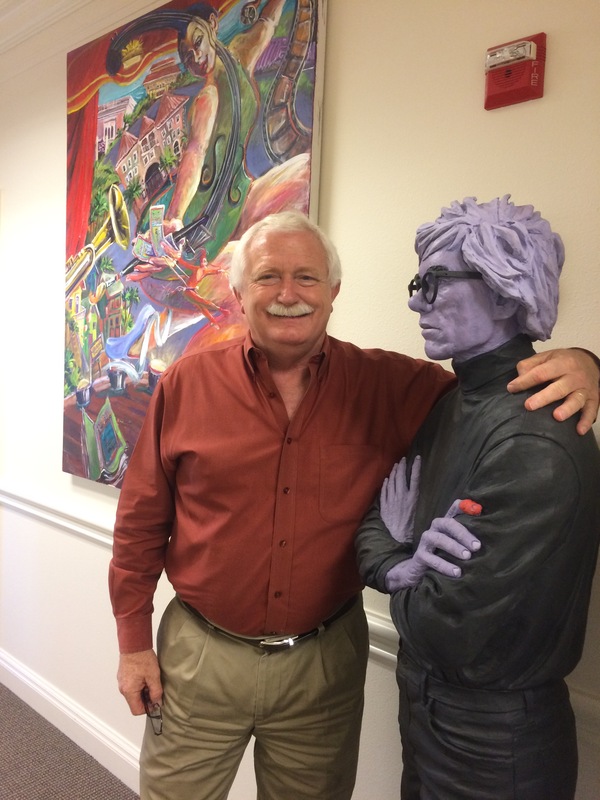 Serving in volunteer and professional capacities in fundraising and community relations for non-profits benefiting from his talents, Jim landed at the right place at the right time when the Arts & Cultural Alliance needed restructuring both financially and organizationally. “My strength is in building relationships and bringing people together to work collaboratively, “ Jim said. Voila! A perfect fit for this time and place. Meanwhile, his family has flourished. Barbara has been recently named Florida Principal of the Year, their children are pursuing work they are passionate about and, Jim, now in his late 60s, can find time – if only a little – for his favorite pastime, fishing. “I enjoy what I’m doing now and hope to be doing it for quite some time but, with good health, I may have time for five or six more adventures,” he mused. © 2016 Advantage-Plus Resources and SuccessAfter60.com. All rights reserved.